For the stretch release, the Debian version of the GNU GCC 6 compiler now defaults to compiling “position independent executables” (PIE). Accordingly the vast majority of all executables will now support address space layout randomization (ASLR), which is a mitigation for a number of exploits that are now probabilistic rather than deterministic. 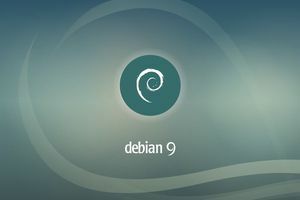 Debian stretch includes only version 6 of the GNU GCC compiler, which may impact users expecting version 4.x or 5.x to be available. See the GCC5 andGCC6 wiki pages for more information about the transition. GnuPG 2.1 is now default. Linux kernel series 4.9, GNU libc 2.24. Series 4.16 is (July, 2018) available from backports. Desktop environments: GNOME 3.22, KDE Plasma 5.8, MATE 1.16, Xfce 4.12 and others. Programming languages: GCC 6.3, Perl 5.24, Python 3.5, PHP 7.0 and others.